(PRWEB) PGA teaching professional and Orinda, CA resident Eric Jones wins the 2012 RE/MAX World Long Drive Championship in the Super Senior Division (age 50 +) with a drive of 369 yards. He now has two wins, the LDA Tour Rookie of the Year crown, and 7 top-ten finishes in his 10-year association with the premiere event in power golf. Jones also won the Senior Division title in 2003, according to a spokesperson for Long Drivers of America (LDA), the event host. Joining Jones and Carlborg on the podium at the Mesquite, Nevada Sports and Event Complex were David Brinker in the Legends Division (60+) and Jack Crutchfield in the Grand Champions Division (55+). Brinker who lives in CreveCouer, MO, posted a winning distance of 330 yards to secure his first world title. Crutchfield, who lives in Brewton, Alabama, drive it 354 yards to claim his first title as well. As he did in 2003, Jones relied on his 6th and final ball to blast the winning drive, out-driving Mike Barbarossa by just 3 yards in a battle that went back and forth with three lead changes. Jones explained that on his last ball he knew the key was to “stick with the same routine that got me to the finals, and focus on making square contact with the ball, letting the result take care of itself.” Playing with a 7 degree “No Brainer” driver by Geek Golf and a Claymore shaft by Aerotech, Jones’ clubs were all custom-assembled by Northern California-based clubfitter John Greenwood. Steve Almo, owner of Geek Golf, who takes his inspiration for club head designs from classic club heads of the past, explained that it took two years of design and testing to create a new “muscle” head driver, with unique heel-to-toe sole weighting which puts more weight behind the club face, increasing MOI, which increases distance and lowers spin. The distinctive orange color and white stripes of the No Brainer was inspired by another “muscle” classic – the 1967 Camaro. Eric Jones played college golf at Stanford University and later served as Junior varsity team coach. He’s the 2003 Re/Max World Long Drive Senior Champion, the 2004 LDA Tour Rookie of the Year, and has competed in the World Championship in each of the last 10 years, notching four top-3 finishes and 2 wins. Eric is a PGA Class “A” Teaching Professional who also holds a Master’s degree in Sport Psychology. As founder of the Seaver Golf Academy, Eric has been recognized for his innovative approach to instruction, most notably his High Performance Golf Coach Program. He is the author of numerous articles and books on golf, including “The 5 Keys To Distance”, “How To Practice Your Golf Swing Like The Pros”, and “Strategic Golf: Course Navigation.” Two new books and online training courses are slated to be released later this year. 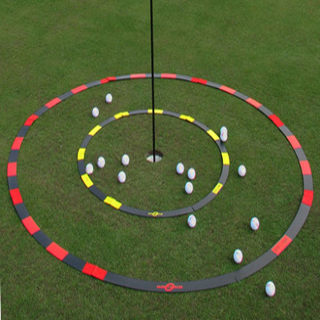 Jones developed the website http://www.TargetCenteredGolf.com in 2008 as a comprehensive online resource to help golfers take their game beyond technique and play more confident, consistent golf. 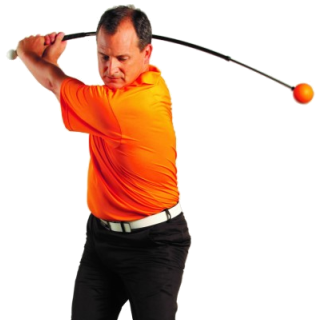 Jones explains that the name “Target Centered Golf” captures the essence of being in the zone: playing golf with automaticity, allowing the natural athlete to emerge through the mind of imagination with the target as the central focus of the swing. 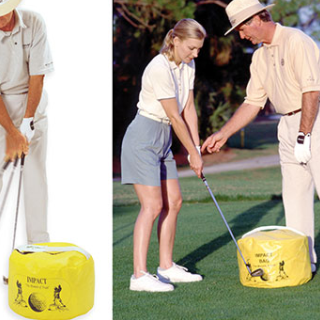 His blog, which can be found at http://www.targetcenteredgolf.com, features real world solutions from his own Golf Coach Program and encompasses all aspects of the game, from how to hit for distance, to scoring shots, to putting, chipping, pitching and bunker play. But he goes beyond mere standard instruction to cover topics seldom explained by mainstream media yet critical to high performance play; scoring-skill development, shot-making, self-management, game management and course management; as well as how to play in the zone more often. 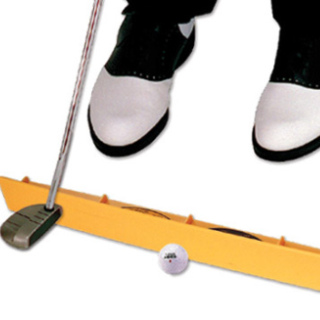 As one of the few PGA reaching professionals formerly trained in both swing mechanics and sport psychology, Eric believes that the mechanical and mental sides of the game should not be separated because that is not the way we play golf. As his teaching practice has evolved it’s become clear to Jones that golfers benefit most when the best of both worlds are combined: Sometimes students benefit most from a mental shift, sometimes from mechanical change. The key is to put the right solution in front of the student at the right time, which explains why his innovative teaching produces breakthrough results. Information about Eric’s High Performance Golf Training Series and his Golf Coach Program can be found athttp://www.TargetCenteredGolf.com. His teaching practice was developed in honor of his grandfather Charles Seaver, a past president of the Northern California Golf Association, medalist at the 1931 U.S. Amateur, and one of the premier amateur players of his era. Hi Michael! Great to hear from you. Hope you are loving Hawaii! Stay in touch. Hi Eric! Congrats–what a way to celebrate a 10th anniversary! Bev, Anndo and I speak of you fondly!! Congrats Eric!! If i could ‘only’ drive 260-270 yards. Thanks Mighty Mouse. It was a very special moment. I hope they air it on ESPN around Christmas time. Keep working on club head speed. Cheers! Congratulations on your winning the ReMax long drive Super Senior Championship ..
Meeting you at several ILT golf trips in Mexico has been a pleasure ..
We often talk about you in Canada about the good times we have had with you ..
Great to hear from the Cultured North! I am hoping to resurrect the ILT trip next year, and would love to see the Canadian brothers again. Thanks for the note. I have been using Eric’s training program and it is simply the best program around to increase distance and accuracy and i have so far added up to 70m on my best drives and regularly add 40m. If you are not using this program then i highly recommend you start. Thank you so much for sharing your results with my program. I’m very happy it is helping you. I know it works, because I use the drills myself. But I really appreciate you letting me know how far you come. Please keep us posted on your continuing progress. WELL DONE sir,congratulations,you are a star,over here in england,i just got your news,as sources are limited. Thanks for the note from over the pond. Hope they broadcast the finals on ESPN around Christmas. That was a great presser with some interesting nuggets that make Eric’s process to success make sense. The 6th & FINAL BALL is classic stuff! Can’t wait till next year when Golf Channel will celebrate LD month in October 2013 and we can get some complete TV coverage of this great event. Coming out to LA next spring from Virginia for my daughters graduation form law school and might have to set up a session with the PRO.